If you have a rugby fan in your house and live in the Philadelphia area, here's an event & ticket giveaway just for you! The Collegiate Rugby Championship is coming to PPL Park and it's going to be an action packed event with some of the country's top college rugby players. The Collegiate Rugby Championship is the premier college rugby tournament in the country, and serves as a national platform for America's future Olympians. The current USA RugbySevens National team includes 3 full-time players who have competed in the CRC tournament within the past two-years. The tournament features 20 of the top college teams, including local teams Drexel, Penn, Temple, St. Joe’s and Penn State, competing in 44 matches across two-days as they vie for the coveted Pete Dawkins trophy. Looking for a promo code? It's your lucky day, because I have a discount code for you! Valid for all session and single day. Use discount code to save $5 per ticket. Not valid on youth tickets. PPL Park is one of my favorite local venues. It's modern and I think it's very family-friendly too. This is a very popular event, so if you want tickets, you can order them online today at the Philadelphia Union website. On behalf of #CRC2014, I'm giving away 4 tickets to one Local Fun for Kids reader! Enter using the rafflecoptor widget below. Win a Safety 1st Genesis Digital Color Video Monitor! I remember the excitement of shopping for baby products during my first pregnancy. I'd stroll through the isles and think about having a baby of my own in those strollers, beds, and baths. Now that my eldest is 8 years old, I truly feel like a veteran mom, but I still get excited hearing about friends who are preparing to bring their first baby home. Those last few months of pregnancy can be a wild combination of magical and stressful, and the end result is life-changing! Mother's Day is almost here and my friends at Safety 1st are thinking about all the moms out there. On their behalf, I'm sharing some of Safety 1st products that make mom’s life a bit easier and I have a very special giveaway too! The Safety 1st Custom Care Modular Bathing Solution is the only infant to toddler bathing solution on the market! The ergonomic design adapts to your growing baby and eliminates the need for multiple tubs. Three easy to change positions promote physical closeness to your baby and proper support. Positions fit the newborn, infant recline and toddler stages. It's amazing how much technology has changed since I had my first son. I wish I had a Safety 1st Genesis Digital Color Video Monitor when he was little. Using the remote controlled camera, parents are able to pan, tilt and zoom to get the best view of their child. It is also equipped with a special Talk Back function allowing parents to soothe baby. This would have been a lifesaver when my sons were infants! If you know me, you know that I'm serious about car seats. The Safety 1st Advance SE 65 Air + convertible car seat ensures your child is safe from 5-65 pounds, and, it meets the new requirements for the new 65 Pound LATCH rule, which is so important! Whether you're bringing home your 1st baby or your 5th, it's always good to know about modern essentials for motherhood. My friends at Safety 1st want you to have a wonderful Mother's Day, and they have offered to give one of my lucky U.S. readers a new Genesis Digital Color Video Monitor. Enter using the rafflecoper widget below & Good Luck! 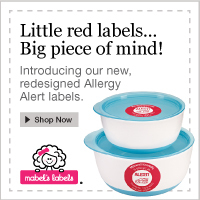 50% off Mabel's Labels - May 4th only! I don't post too many deals here, buy this one is too good not to mention. I snagged the 50% off Mabel's Label deal the last time they offered it and I'm so glad I ordered them when I did. I especially love these labels for my kids' pricey sports gear. I personalized my labels with our last name and phone number, which would make it easy for anyone to contact us if they find something one of my kids lost. So, on May 4th, 2014, in honor of the Star Wars Trilogy, Mabel's Labels is offering 50% Off Robot, Rocket, Princess and Star Sticky Labels today only from 10am EST until 11:59pm EST. IF you've been thinking of getting labels, this is a great deal! Just click the image above to order labels today! Have you heard about the Philadelphia Science Festival? It's a nine-day celebration of science featuring lectures, debates, hands-on activities, special exhibitions and a variety of other informal science education experiences for Philadelphians of all ages. This weekend, on May 3rd, 2014, the festival’s signature event, the Science Carnival, will feature a very special guest. It's a bird... It's a plane... No, it's Super Grover!!! Sesame Workshop, the nonprofit behind Sesame Street, will be at the Carnival to showcase Little Discoverers: Big Fun with Science, Math and More. The initiative focuses on the importance of teaching young children the principles of science, technology, engineering and math (aka STEM), and (stationary) Super Grover will be on hand for photo ops. Among other things, Greek food is a weekness of mine. I adore feta cheese, roasted red pepper, and kalamata olives to name a few. So, when I was invited to lunch with the owners of Uniquely Greek, I couldn't resist! What is Uniquely Greek? It's a feta spread with a unique blend of domestic feta cheese, garlic, cream cheese infused with fresh produce. 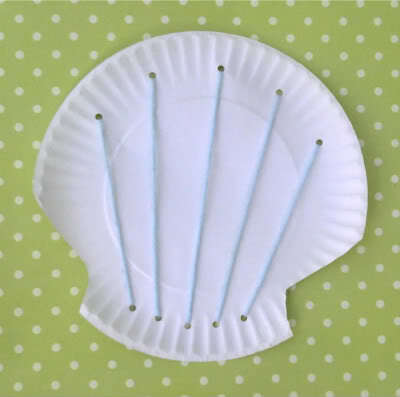 Of course, you can dip your pita in it, but there are so many other ways to use this spread. The ideas our endless! Uniquely Greek is owned by a brother and sister team, Jessica and Jon Gill. Jessica is the owner of family-operated “Grecian Delights” Greek Deli/Restaurant in Boothwyn, PA. This place serves up amazing Greek food in a casual farmers market environment. This brother and sister team, not only prepare delicious Greek food, but they are also warm and friendly that when you're eating with them, it's like eating with family. Everything that Jessica and Jon served at this lunch was phenomenal! I'm always looking for creative ways to serve up salmon and chicken, and their spreads are such a simple way to jazz up dinner. I was also blown away by how delicious the Brown Basmati Risotto was. Serving plain brown rice is never a hit with my kids, but I know they would love the Uniquely Greek version of it. Is your mouth watering yet? You can find Uniquely Greek at some Whole Foods, Earth Fare, Mom's Organic Markets and Sunset Foods. Check here for the full list of Uniquely Greek distributors. If you live in the Philadelphia area, check out Grecian Delights (located in Booth’s Corner Farmers Market) 1362 Naamans Creek Road, Garnet Valley, PA 19060. What can I say about Longwood Gardens that I haven't already said before? Longwood is one of my favorite places to go with my kids. It's our happy place. My kids love being able to run around and explore the treehouses, flowers, and exhibits that change with each season. There really is something magical about this place. Yet, I know my words don't do it justice, so I want to share some photos from our trip to Longwood during Spring Break. Longwood is incredibly kid friendly. Their events calendar is packed with fun family events and performances througout the year, but even on a day without a special event, we can spend hours there exploring the gardens. Here's a peek at the towering bamboo in the Children's Garden at Longwood. This area is filled with hands-on water features, a variety of sculptures, a secret stairway, and lots of lush foliage and bright flowers. A good tip is to save the Children's Garden until the end of your visit, or make sure your kids are wearing short sleeved tops. There are so many cool water features in the Children's Garden, and my kids always get wet! This is just one reason why my kids love this place as much as I do. It truly is a feast for the senses. They can touch the statues in the Children's area, listen the music from the bell tower, see the gorgeous flowers, and climb the grassy hills. You can see above that they really enjoy painting the sculpture with paint-brushes dipped in water. At Longwood Gardens, there is literally something around every corner that captures your attention. If you haven't been there yet and live in the area, I suggest you put in on your spring or summer to do list. We have been there more times than I can count, and I hope this is just the beginning of our Longwood memories. Go to longwoodgardens.org for more information about this amazing place! I've been craving a good cup of coffee! My son has had a tickle in his throat which has been keeping him up at night, and I am in tired. Just one night of good sleep would be so nice, but for now, I'm running on coffee. Are you in need of a cup of coffee too? To wrap up the final days of McDonald's free coffee event, they'll be hosting a #McCafeTakeover Twitter party today, Friday April 11 at noon. It’s going to be a fun afternoon of conversation, trivia, and giveaways; during the party we will even surprise one winner with free McCafé coffee for a year! Winner must redeem at participating McDonald’s in Southeastern, PA; Southern, NJ; and Kent & New Castle Counties, DE. I'll be there for the first half hour and I'd love it if you could join me! With spring in full swing, we find ourselves rushing in the morning to get out the door, running errands after work, and spring cleaning and planting on the weekends. With all of the fun activities, sporting and after school events that the spring season brings, it’s so important to have a pick-me-up to get through the day! Many of us are still mesmerized by Frozen, but there's a new Disney movie ready to make headlines too! My friends over at Disney just sent me the “Thunder" trailer for Disney's PLANES: FIRE & RESCUE and I wanted to share it with you. From the world of “Cars” soars “Planes: Fire & Rescue," a new comedy-adventure featuring a quirky crew of elite firefighting aircraft devoted to protecting historic Piston Peak National Park from raging wildfire. When world famous air racer Dusty (Dane Cook) learns that his engine is damaged and he may never race again, he must shift gears and is launched into the world of wildfire air attack. Dusty joins forces with veteran fire and rescue helicopter Blade Ranger and his courageous air attack team, including spirited super scooper Lil' Dipper (Julie Bowen), heavy-lift helicopter Windlifter, ex-military transport Cabbie and a lively bunch of brave all-terrain vehicles known as The Smokejumpers. Together, the fearless team battles a massive wildfire, and Dusty learns what it takes to become a true hero. Directed by Bobs Gannaway (“Secret of the Wings”), "Planes: Fire & Rescue" ignites July 18, 2014. My friends at Chick-fil-A Lima are hosting a Family Night tomorrow from 5:30-7:00 pm. Learn how to walk on a tight rope! Alice will be there to show you how to walk the tight rope, she will teach you the tricks and then even let you try it with her help or on our own. How cool is that? Alice will perform at 5:30 pm and 6:30 pm. Join us for dinner and fun! Bring your camera! Right now, I'm dreaming of a new kitchen. A kitchen with stylish wooden cabinets, an oven that will bake over 350 degrees, and a space that feels modern. My kitchen is old, on its last legs and in desperate need of a makeover. When it comes to that space in my house, I have a lot of dreaming to do! There's a new t.v. show about to do just that! American Builders is a new show on NBC hosted by famed interior designer and best-selling author, Nate Berkus. On the show, you'll follow the nation’s top designers and home builders as they compete to be crowned the Ultimate Dream Builder and take home a $250,000 cash prize. The show airs Sundays at 8/7c on NBC & you can enter for a chance to win $100,000 in products and services from Lowe’s and a consultation with the winner of American Dream Builders! Wouldn't that be amazing to win? Follow the show on Facebook and Twitter for a chance to win more prizes from American Dream Builders and Lowe’s! To celebrate the premiere of the show, one of my lucky readers is going to win a $50 Lowe's gift card! To enter, just sign up for my monthly newsletter. Once you've subscribed, leave a comment below letting me know what room you would makeover if you could re-do any room in your home and why you chose that room. On April 1st at 12 noon, one random subscriber will be chosen to receive the $50 Lowe's Gift Card, thanks to my friends at American Dream Builders! CONTEST CLOSED ~ THE WINNER IS SEYMA B. Did you watch the premiere of American Dream Builders? If so, what did you think? When I first heard about International Happiness Day I thought it was just another one of those made-up holidays, but I was wrong. I was surprised to learn that it was actually created by the United Nations to help show people that happiness is not something that is only for the rich. 1) Let the kids burn off some energy outside by heading to a State Park or going to your local arboretum. 2) Avoid the crowds - If you're planning field trips, "plan them for later in the afternoon when attractions are less likely to be crowded" says Jennifer of Jersey Family Fun. 3) Just Relax - Jessica, of DelcopaMoms says "I don't know about everyone else's families but mine runs from soccer to t-ball to gymnastics and back again. If there is one week this spring where the kids don't have activities, we're vegging out! We have one planned activity the entire week. I also plan to hang, watch tv, probably do a TON of coloring but we're relaxing!" 4) Let your child help plan an activity. Allowing my kids to choose one special activity during Spring Break helps to keep them happy. I have scheduled a playdate for each of my sons with one of their closest friends. Doing this ahead of time makes me feel prepared and gives us all something to look forward to. 5) Don't overplan! - Jacquie from KC Edventures says "We don't overplan for spring break because we love not having a schedule. We sleep in on most days, enjoy a movie or two together, head to a nature center etc. Low key days." 6) Expect the Unexpected - "My biggest piece of advice after our break this year is 'have a back-up plan'. We've had temps in the 30s and snow!! I know - crazy -- so have a few things in mind in case you get bad weather. Visit a museum for an afternoon, maybe an indoor pool, etc. Oh yea - Take advantage of library programs during break - they are great too!" says Jacquie. 7) Keep a good balance - Kristen from Busy Moms Happy Kids says "Make them "work" for their electronics time. Balance it with creating, playing, outside time, reading, chores, and exercise. Every 30 minutes they spend doing the above, earns them 10 minutes of electronics." 8) Trust your instincts - You know your kids best. Some kids like to go with the flow and other kids thrive on a strict routine. Kristen uses a schedule to help her kids know what is what is expected of them. If you have a child that flourishes with a routine, check out Kristin's post about scheduling your day. 9) Check around for local deals and discounts. Go Roller Skating for FREE or Go Bowling for FREE. fternoon. It wasn't anything extraordinary and it didn't cost very much money, yet it was a day I will never forget. Sometimes, I feel like we're over scheduled, and other times, I'm rushing to set up last-minute play dates. It's not always easy to find a happy medium, but I think that these tips are a great start in the right direction. Do you have any other tips for a fun & happy spring break?